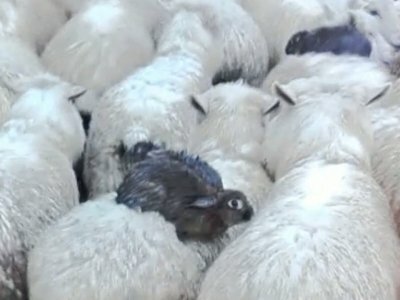 Wellington, New Zealand — It was a woolly ride, but three wild rabbits managed to escape rising floodwaters in New Zealand by clambering aboard sheep and surfing to safety on their backs. “I couldn’t believe it for a start,” he said. Read more. I’m so glad you saw this video. I retweeted this story in hopes that you would! yassss it was pretty much meant to be!